There’s practically tumbleweed blowing through the blog this year! So far, not so good. Ahhhh, I’m sorry. I plan to change the regularity of posts soon as I do have some exciting things planned for the blog. Until then, though, I’m dashing in and out. 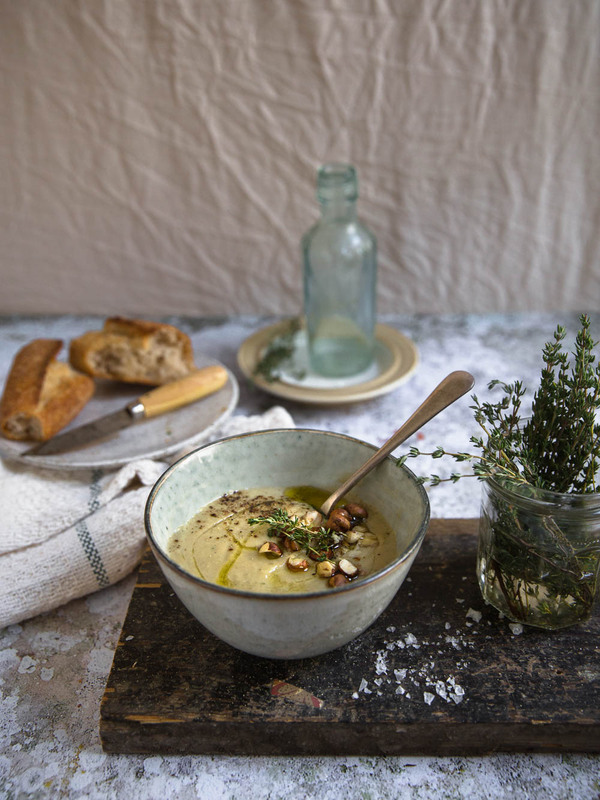 I’ll leave you with an ‘in between seasons’ recipe for my artichoke, garlic and cannellini bean soup. I’m feeling neither here nor there with seasonal produce at the moment. Not quite over Winter but not quite cooking with wild garlic yet. 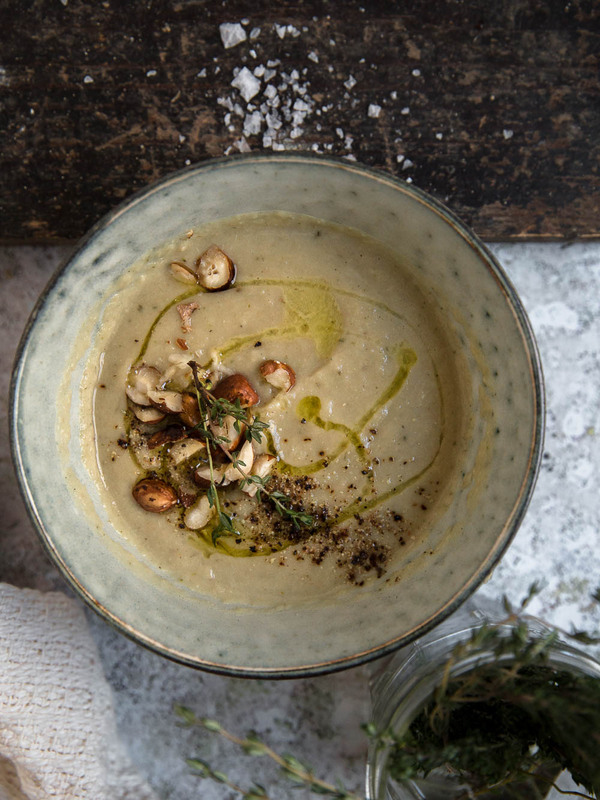 As of this Monday just gone, it’s officially Spring but I still feel the need for a warming bowl of soup. I hope you’ll join me for one last hearty bowl of comfort food before the season’s change and I freshen things up a bit around here! Heat oven to 200 C / 180 C Fan / Gas 6. 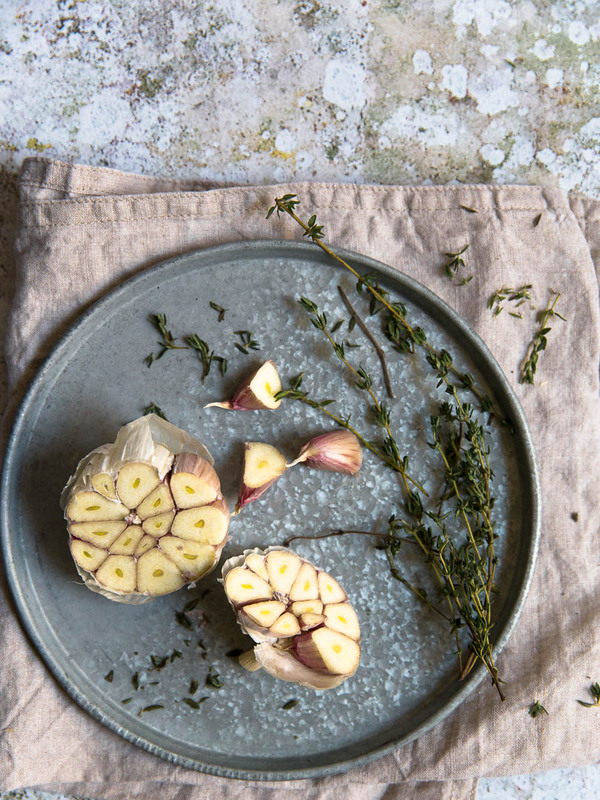 Halve the garlic bulbs horizontally across the middle, place them onto a piece of tin foil and drizzle the cut sides with half of the oil. Keep the cloves cut side up and wrap the foil around into a parcel. Bake in the oven for 35 - 40 minutes, until the cloves feel soft when pressed. Heat a large saucepan, add the remaining oil and cook the onion for 5 minutes or so, until softened. Add the artichokes and thyme, cook for another 5 minutes. 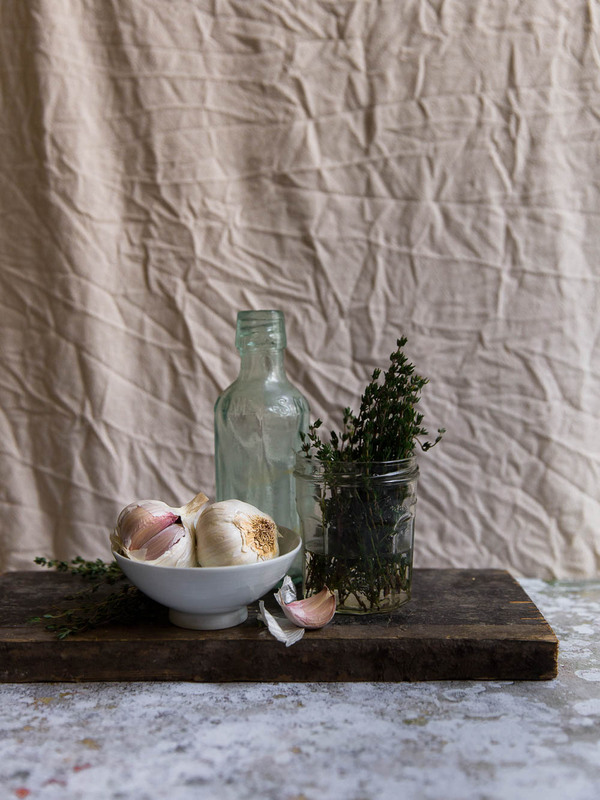 Squeeze the garlic cloves from the roasted bulbs into the pan, along with the beans and stock. Simmer for 10 minutes. Blitz with a hand blender and season well. 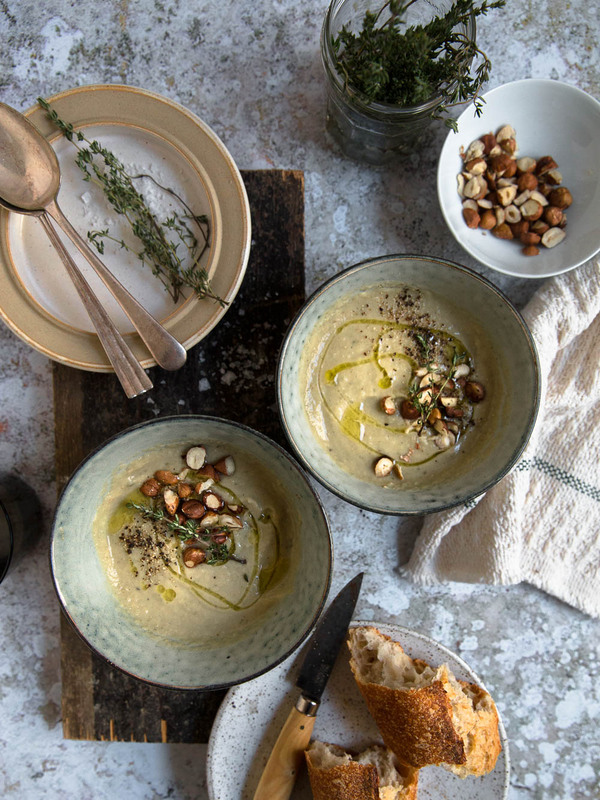 Serve with a drizzle of extra virgin olive oil, extra thyme leaves, and chopped hazelnuts.